Dr. Al-Ghoul is the founder of and has been the medical director of Seema Eye Care in Calgary for nearly a decade. After extensive training at the world renowned UPMC, he came to Calgary with a passion to bring several new corneal procedures to Alberta for patients. He was the first specialist to introduce Corneal Cross Linking in Western Canada back in 2009 and has trained many surgeons on this technology. He was also the first in Alberta to introduce various advanced corneal transplantation procedures such as DSAEK, DALK, DMEK, and Boston Keratoprosthesis. Dr. Al-Ghoul continues to innovate newer techniques for performing corneal procedures, having previously designed and patented surgical instruments. 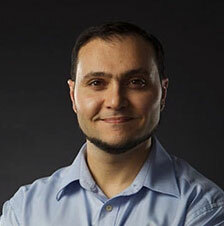 In addition to his passion for clinical care and innovation, Dr. Al-Ghoul is a researcher and teacher through his appointment at the University of Calgary. He continues to be actively involved in research projects in the field of corneal cross-linking, corneal transplantation, and cataract procedures. His findings have been presented both nationally and internationally at many reputable Ophthalmology conferences. He continues to travel and present his research, for which he has won several awards and recognitions. He also has authored several Ophthalmology book chapters in the field of corneal disease. Ask your doctor - take the first step towards better vision. 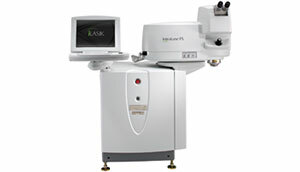 The iFS Laser is Southern Alberta's only 5th generation laser for vision correction. With over 5 million procedures performed to date around the world, IntraLase® Technology is trusted on astronauts and fighter pilots. The 'IntraLase Method' provides an all-laser approach to Laser Vision Correction, giving the surgeon the highest degree of control during every part of your procedure, to produce the safest and most outstanding visual results. The Amaris 750S is Southern Alberta’s only laser with unsurpassed 6 dimensional eye-tracking, providing reliable laser pulse placement in not only the traditional x, y and z planes, but also rotational tracking, cyclotorsion tracking and tracking with eye rolling. It is ultra-fast (750 pulses per second) and ultra-precise, and the vast majority of our patients achieve 20/20 vision the very next day. 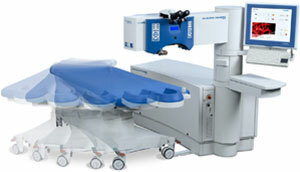 The Schwind laser system represents a refinement of the laser technique, offering exceptional levels of safety and precision - meaning SEEMA can provide unprecedented levels of procedural excellence. Visit the Clarity Laser Vision website for more information.